The word hora means a unit of time equivalent to an hour and in all likelihood has been the root of the same word. It is derived from two words “aho” & “ratra” meaning “day” & “night” respectively. Thus hora also means the most primary two-fold division of time on the basis of the day & night. This takes into account not only the time frames but also the quality of time like the day is dominated or ruled by the Sun and the night by the Moon. Introduction: Franklin Delano Roosevelt (1882-1945) was the 32nd President of the United Sates of America. FDR was born in Hyde Park, New York at “Springwood”, his family’s country estate. He was related to the President Theodore Roosevelt. His aristocracy is easily seen from the rising Leo ascendant aspected both by the lagna lord Sun and Ātmakāraka Jupiter (Rāśi dristi). A similar situation occurs in the Navāṁśa with lagna lord Mars and A.K. “This Mysterious Beatle” George Harold Harrison needs no introduction. The date and time of his birth as recorded are 25 February, 1943; 00:05’ BST; (-1Hr GMT); Liverpool, U.K. Later this was ‘corrected’ by an astrologer. He wrote, “For instance, I only learned recently after all these years that the date and time of my own birth have always been off by one calendar day and about a half hour on the clock,” reported in Billboard magazine, 12/1992.” On a prior occasion, he had given out February 25, 1943, 00:05 AM GDT, (23 minutes later). Note: The authenticity of this story is doubted but there is no doubt that Khanna or Lilavati was a great astrologer. We intend to present her great teachings in the recent future by translating some of her works. A television serial in the bengali language highlights her achievements. Kalidas, Varāhamihira, Ghata Karpura, Dhanvantari, Vararuchi, Vetāla Bhatt, Kṣayapanaka, Śaṅku and Amar Singh – these were the Navaratna (nine gems) in the court of Vikramaditya, the Maharaja of Ujjain. 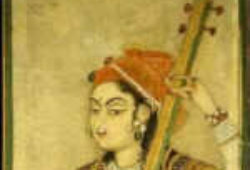 Among these experts Varāhamihira was the best in jyotiṣa (although one text is also attributed to Kalidas).